Fellow Nuffnang members! 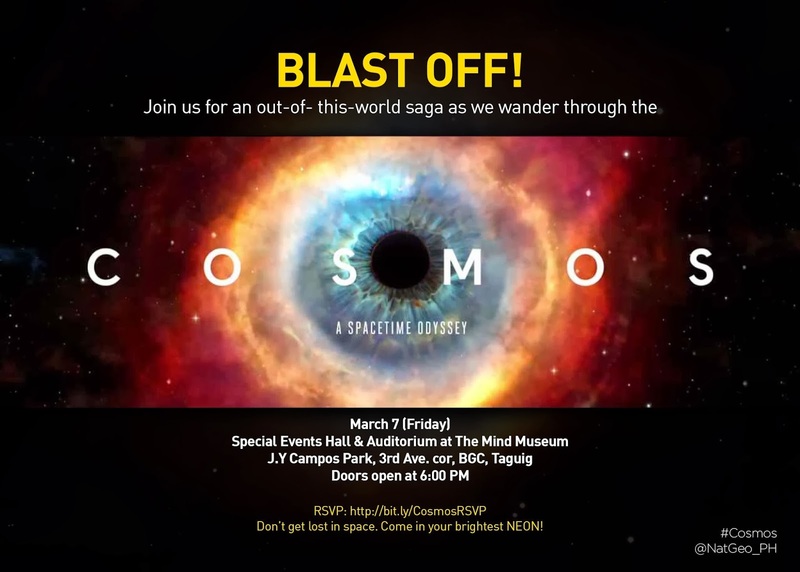 A free invite to National Geographic's Cosmos: A Spacetime Odyssey show is coming up! The event is happening on Friday, 6:00PM, 7 March 2014 at the Mind Museum, Bonifacio Global City. You can RSVP for the event here.